Wow! Life has become quite busy--blessings from God pouring down upon us! I've had to "abandon" Godly Graffiti! It was a difficult choice to make, but one that I have felt was the correct thing to do. Thank you so much to my faithful followers and readers. You can still find me on the web, though! Stop by to visit! Let me know you found me! Many years ago I sewed a plastic canvas/fabric nativity set that my children could play with and touch and not worry about breaking. The "3 Wise Men" are all together as one piece. When my son was little, he loved setting up the nativity set and after he gently placed Jesus in his little fabric 'cradle" and placed all the animals and the shepherds around Mary and Joseph and the baby, he put the Wise men at the far reaches of the room. Nearly 2 decades later, as we take the nativity set out of the box and my son sets it up on the floor under the tree, I am still reminded to see Christmas through the eyes of a little child. 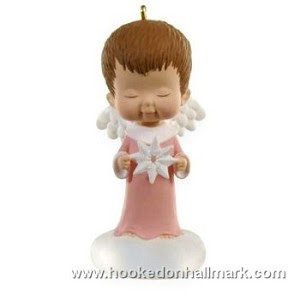 In 1988 I purchased the first in the series of Hallmark's Mary's Angels Christmas ornaments. That is the year my son, our youngest child was born (in May). The first in the series was out that Christmas and while I wasn't really sure he'd grow up to like angels (was it too "girly"?) it was the only series I really liked. This year, Jeff will receive the 22nd in the series in his stocking! Fortunately, he is a deeply spiritual young man and delights in hanging each angel on the tree every Christmas. Like his mother, he is in awe and wonder of angels and ardently believes in their existence! I delight in stopping by the tree and seeing the--by now--full choir of angels hanging there! This year has flown by for us and we have had many challenges and obstacles as a family. There were weeks, and even months, where we wished away the experiences we found ourselves in the midst of. As the year winds to a close, and the Christmas season is upon us, I rejoice in our many blessings. The angels are now too numerous to recall which one was received on which year -- though they are each dated and we could figure it out if we were so inclined. I think it's more enjoyable to look at them as a whole - an entire choir of angels filling up a good portion of our tree - like those that filled the sky one Christmas eve a long, long time ago. That baby and his family faced many hardships as well. But like each of us, they received the promise of eternity in heaven. Like us, they were no doubt in awe of the choir of angels in the sky on the night Jesus was born, announcing the good news of all time! I'm going to a birthday party for big sister! I just got an email from her mom that they're having a small celebration on Sunday! I can't express how excited I am! I also can't believe big sister will be five years old! She was little more than a baby -- just barely 2 years old -- when I was hired as a nanny for her and her infant twin brothers. I'm pretty sure I now what I'm going to give her--I've had my eye on a couple of potential gifts for a while now -- wanting to give just the right "Mary gift." I want my gift to be memorable and fun and yes, durable! I want it to be something that when she opens it, she'll know it was from me! I'm the crafty, puzzle working, song singing, dancing to music, silly, no-nonsense-let's not forget whose the boss, sidewalk chalk drawing, bubble blowing Mary! Yes, it is important to me to be thought of in certain ways. It has occurred to me, though, that I have not spent as much time and energy this year focusing on the one true important birth that will be celebrated in a few days. I haven't prayed about who I am to God--how He views me and my life. Only just this morning have I spent time in prayer and quiet reflection about whether or not my life is a "perfect gift" to God. Sadly, the answer is no! I rejoice though that I have at least realized my folly and have committed to some serious soul-searching and prayer for the remainder of this holiday season and into the new year. I rejoice too that no matter what gift I give big sister, she will like it because it is from Mary. God wants the kind of planning and thought--and excitement--that I have about big sister's birthday party when we offer our lives to Him. He already gave us the perfect gift--our goal to is express our thanks by living our lives in such a way that we become an acceptable gift to Him. I rejoice that while I will never be perfect, I worship a perfect God who loves me in spite of that truth! On my last visit with my little buddies, God revealed several lessons to me--as He always does through the children in my life! This one is especially poignant, I think. Last year - either for Christmas or for a birthday, I gave the boys two DVD's. One was of trucks-neither of them is spectacular, I don't think, but I bought them on-line and they like them - well one of the twins LOVES them! He's a truck fanatic--loves anything truck-related. Another thing the twins love is watching videos with Mary:-) Part of our new routine when I babysit is to watch all the videos we used to watch every day when I was their nanny. Now that I only see the children every few weeks, our times together are especially precious - to them and to me. It had been at least 6 weeks since my last visit and in that time mom and dad got a new remote control because they changed cable service. Those who know me well already know where this is going. You see, while I can figure out quite a bit about blogging, HTML code, and on-line "anything" I am like a complete idiot when it comes to all things electronic. If you can't just push the "on" button and have everything work as it's supposed to, I'm lost. Well, after dinner was eaten, hands and faces washed and puzzles worked on the floor together, the children decided they wanted to watch some movies. Of course the "truck twin" immediately announced he wanted to watch the truck movie. We got it out and placed it in the DVD player and then . . . yikes . . . I don't even know what button to push next . . . this new remote is similar to the other one, but even pushing the buttons labeled like those on the old remote, in what I thought was the same order, I could not for the life of me get the thing to play on the television. After about 10 minutes, big sister offered, "Here, just give it to me and I'll push all the buttons." No thank you, sister! I can mess up the remote and/or electronics all by myself! LOL! Both boys "worked on" the DVD player. One brother pressed open/close and the other brother took out the DVD, replaced it in to the player and pressed the button again. Then they tried the "play" button several times. (I was quite impressed with their teamwork, but had visions of what that might look like when their 12 and want to do something they're not supposed to do:-) All the while, I'm suggesting they stop pushing buttons so I could try to see if any of the combinations I'm using to unlock the secret code to play the DVD is working. After about 10 more minutes, I gave up and announced that the remote was "broken" and that I would figure out how to work it so we would have to watch the movie next time. But truck-twin was not to be deterred. He took out the DVD and brought it to me, "see Mary, it's this one," and "It works, I put it in." This went on for about 30 minutes - and I counted how many times a little boy, determined to watch a truck DVD with Mary can actually press the open/close button, take out the disk and put it back in - I told his mom, I was pretty sure it was about 75-80 times! You know, I didn't get upset with my little buddy though, and I let him continue to push those buttons and work on the problem. He didn't want to hear that something so important to him was just not going to happen this time. He didn't understand that it wasn't about what he wanted -- or even what I wanted. It was about the circumstances in which we found ourselves. 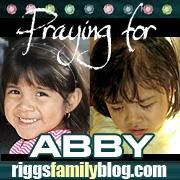 I thought about how much like my little truck-loving twin I am when I take my requests to God sometimes. Even after it is abundantly clear to me that a plan I had made or a path I had chosen is not going to work out, I just keep at it. Sometimes, as sister suggested, I just "push all the buttons" in a last ditch effort to get my way. Sometimes, like my little buddy, I don't get mad or even rail at God--I just keep . . . doing . . . what . . . I . . . was . . . doing . . . In the end my buddy resolved himself to not being able to watch the movie and we found an acceptable alternative program on television (thank goodness for cable television!) But the lesson of that night is not lost on me. Since that night, I've been praying a lot about some things that aren't really working the way I would like them to. I'm asking God to show me whether I am to persevere and keep at it, or whether I need to turn these situations over to him and allow Him to show me a better way. "Show me your ways, O LORD, teach me your paths; guide me in your truth and teach me, for you are God my Savior, and my hope is in you all day long" (Psalm 25:4-5 NIV). Oh my! I was long overdue for my "big sister" and "little buddy" fix! Yep, I spent 4 wonderful hours this evening with the children I nannied for two years. Big sister will be 5 (on December 14 as she informed me tonight) and the twin boys will be 3 in January! Oh my goodness I was so happy to see them! They were excited too, which was wonderful! The boys ran off the porch and into the yard to greet me! I got so many hugs and all three of the kids talking at once, wanting to tell me everything going on in their lives! At one point this evening when we were sitting on the couch watching a show, one of the boys told me, "I missed you, Mary." My heart was full to overflowing at that moment! Both boys wanted to sit on my lap and be near me the entire evening. Big sister is SO big and smart and very busy telling brothers what to do! I had had a long, long, stressful, tiring, exhausting week at work. I really needed this unbounded, overflowing, joyous time with three children I spent 5 days a week with for 2 years. The boys were only 8 weeks old when I started caring for them. And sister was 2 when we sat on the back balcony of the apartment they lived in while Mom and Dad looked for a house in Richmond, blowing bubbles and starting with potty training. I needed to be loved on and to be in the presence of those three little ones who just could not restrain their glee and excitement at seeing me. This is how God expects us to approach Him as well! And when you think about it, it is exactly how we should be any time we go to Him in prayer. No matter what we're going through in our lives; no matter what we're struggling with; no matter how tired or frustrated, beaten down or worn out we may feel, we need to run to God with joy and celebration because we've been promised a place with Him in heaven someday! Don't wait at the door - run off the porch and into the yard! Leap into His arms! Clap your hands and squeal with glee! We have eternal life already guaranteed! That's something about which to be overflowing with excitement and celebration! I've just started a second column at Examiner.com, Richmond Working Moms. My "other" column is the Richmond Frugal Family. I hope you'll take a few minutes to stop by. Subscribe to either or both, if you like, so you don't miss any great ideas, tips or suggestions! These two columns are really ideally suited for me! 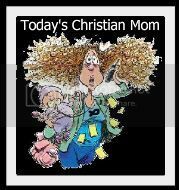 I consider frugality a spiritual discipline and I strive always to support and encourage other moms in their parenting journey. Times are hard, money is tight, and being a parent is never easy! I'm quite excited to minister in two different venues to parents, and especially moms, of children of all ages and stages. I've also been given a HUGE vision by God in the last week about the next big thing in my life. I'm not ready to share it yet, but suffice it to say, I am really blown away. I am in continual prayer, and God has sent several folks across my path to affirm and confirm that I am hearing Him correctly! As a woman who believes ardently in the power of prayer, I covet any and all you care to offer up on behalf of this ministry. I will be sharing it with my readers - and the world! - very soon! I've been revamping this site and trying to find suitable music that reflects the tone I want to convey. If you have a particularly favorite song that makes you feel glad to be an adult living a world full of children, please leave me a comment! I'll consider adding it to the play list. 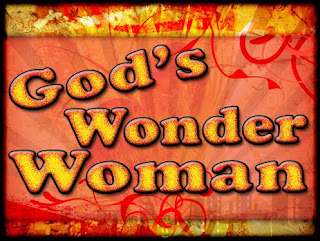 I also would appreciate your stopping by God's Wonder Woman where I invite readers to share the journey toward capturing the divinely-designed image of ourselves as God's beloved daughters. I publish there twice a month and have been blessed beyond words to share my own journey. What is going on in your life? Leave me a comment. Are you in need of prayer? 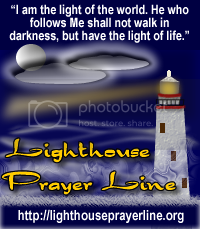 Visit my Divinely Designed Blog and register your confidential prayer request HERE. Finally . . . where are you from? Find out where I'm from at Godly Graffiti. Come back often! There's always something going on! Join me in the journey! Light shopping week as the cabinets are full and we only needed a few items this week. Plus we'll be getting our Angel Food Order on Saturday, so we didn't much from Kroger. My sales receipt also announced that Kroger is having another special promotion beginning soon! Spend $500 between 11/15 and 12/12 and earn one 10% of total order from 12/27 - 1/9/2010! A little background: My children are now 24 (daughter, married for 2 years) and 21 (son). When I became a mom, I knew I was 'meant to' be one! I have loved every minute of being mom to Jen and Jeff. No they weren't perfect kids -- but pretty close. We didn't have a lot of problems that many of their peers experienced. We were (and remain) very fortunate. To claim no credit at all for how well our children turned out would just be insincere and disengenuous. I tried very hard to be a wonderful mother--not just a good mom--a wonderful mother! I know I fell far short of that ideal many, many times. But somehow, my children knew that was my goal and ardent desire, and they forgave me for not always rising to the ocassion, and savored the common knowledge that they were that important to me - and that 'getting it right' meant so much to me. They got that they mattered. Getting to the point here. My daughter is a beautiful, bright, incredible young woman with multiple gifts and graces. My son is a handsome, strong, incredible young man with multiple gifts and graces. My son also has Asperger's Syndrome (very high end of the autism spectrum). We didn't always know what the diagnosis was, but we knew very early on what his challenges would probably be. We also, though, recognized early on what challenges our daughter would probably have (based on her personality and dispositon). We never identified our son as being "special needs" because of his diagnosis. Not because we were in denial but because we don't make that kind of distinction in life. All children have 'special needs' regardless of where they fall on any spectrum, chart or yardstick for measuring their development. Some have more challenges, larger obstacles, fewer resources. All have needs that are unique and specific to them. We've never identified Jeff as our "special needs" son. Nor have we ever identified him by the sports he participated in, the instruments he played or the fact that he read (and undersood) college-level reading material when he was in 5th grade or by his gentle spirit and deep faith. But then we never identified Jennifer as our "exceptionally bright" daughter, either. Nor have we identified her by the sports she participated in, the excellent GPA she maintained throughout school, or by her beauty--inside and out. That's because ALL children are special! I don't want to be pigeon-holed as a parent of a XXXX child. I want to be a mom--just a mom. My children are amazing human beings and I am proud to call them both my friends. I am humbled that God gave them to me and entrusted their care and nurturing to my husband and me. We have been in awe of them since the moment they were conceived. We continue to be in awe of the incredible human beings they have become and continue to grow into. In the world too many things drive us apart and the mentality of "divide and conquer" and one-upsmanship seems to run rampant. 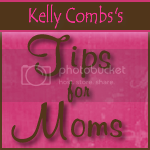 I choose to be just a mom who can understand and empathize with other moms who want what is best for their children. I have tried never to judge other women for their parenting (or lack thereof) because I know there were times I dove into uncharted waters and stayed afloat only because of God's grace. That's the message that I hope resonates for others when they hear me speak or read what I write: God's grace is the common thread for all of us. It's okay that we weren't (aren't) strong enough, smart enough, rich enough, young or old enough on our own to be the kind of mom (or person) we want to be. God's grace is enough--it makes us enough. It makes our 'best shot' at everything we do enough. My husband and I have never doubted divine intervention and guidance in our parenting or in our lives. We fully accept, acknowledge and are ever grateful for it and invite it into our lives on an on-going basis. So next time you think you're "just" a mom, smile! Next time somebody identifies you as "just" a mom, say 'Thank you!" It's a great thing to be! "By faith Moses' parents hid him for three months after he was born, because they saw he was no ordinary child, and they were not afraid of the king's edict" (Hebrews 11:23 NIV). "These commandments that I give you today are to be upon your hearts. Impress them on your children. Talk about them when you sit at home and when you walk along the road, when you lie down and when you get up. Tie them as symbols on your hands and bind them on your foreheads" (Deuteronomy 6:6-8 NIV). "he said to them, "Take to heart all the words I have solemnly declared to you this day, so that you may command your children to obey carefully all the words of this law" (Deuteronomy 32:46 NIV). "I have no greater joy than to hear that my children are walking in the truth"(3 John 1:4 NIV). Sister didn't want to go to bed. I told her if she settled down and helped the boys settle down during a short video, she could stay up a few minutes later than the "babies." For 30 minutes I had to remind and redirect her as she continually engaged the boys in "dancing" and running around during the video. Sister and I worked a puzzle (twice) and she clearly grasped the "hints" I had given her on the first go-round about edge pieces and matching up pieces with the same colors in the them. But then it was bed time. She didn't want to go to bed (by this time she was overly tired). She didn't want me to leave her without reading several books (we had already agreed that if I let her stay up, she would go straight to bed without the usual routine because it was so late). She was having none of it! She was not a happy camper. I am, however, a "seasoned" parent and pretty much a no-nonsense person when it comes to establishing who is in charge (kids vs. adults). Eventually, she wore herself out and fell asleep. Where am I going with this? Well, big sister reminds me a great deal of myself when God doesn't "comply with my wishes." I can become pretty hard-headed and complain, then start to get upset, then yell and rail at God until I ultimately just relent and let Him "win." I held up my end of the deal, big sister did not. We both knew the rules going in, but big sister didn't like the rules, once it was time to abide by them. Even though I felt sorry for sister, after she had worked herself up into a pretty big fit, I continued to remind her of our agreement. I went up to her room several times to assure her I was still hearing her (hard not to! :-) and she carried on with a great deal of histrionics, that I knew were only making her more upset. But I had to abide by my end of the deal--I had to stick by my guns or the next time she would push the limits even more and act up/act out to a far greater degree. I felt sorry for her, but I love her too much to have yielded. I'm sure God feels as I did that evening: sad that I am unhappy, even knowing He is being just. God always keeps "His end of the agreement." I'm the one who protests, fails to cooperate, and ultimately work myself into a fit when He doesn't yield! I'm so glad He is a just and unyielding God! The world needs that kind of unwavering justice and love. I need that kind of fairness and certainty that I will receive His love even when I haven't earned it and especially when I don't deserve it. I'm glad God loves me enough to always exercise "tough love" sprinkled with mercy and grace. "Come, my children, listen to me; I will teach you the fear of the LORD" (Psalm 34:11 NIV). A portion of proceeds will be donated to women's ministries. I've done just about any job you can think of. By far, after being a mom, my favorite job was being a part-time nanny for 3 amazing toddlers who are growing up too, too, fast! Big sister is four and twin brothers are 2 years old. Yep. Lot's of activity; lots of drama; lots of diaper changes (yikes! ); lots of laughter, hugs, kisses and sheer joy. Corporate world: not so much sheer joy. Catering: lots of fun, but not many hugs and kisses. Real estate: well. 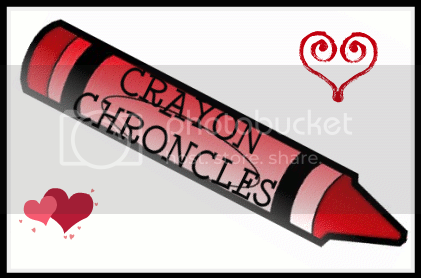 . . not so much:-) God gave me a writer's heart, mind and soul. He also gave me a passion for children. I'm back in the corporate world now working for a private agency providing counseling to children and families. Not as many hugs, but great people working hard to make the world a better place.